At Willowbrook Veterinary Hospital, we know that prevention is often the best form of medicine. To provide your pet with the best care, we work with you to determine your pet’s individual vaccination plan. Their specific needs may vary depending on their environment, overall health, and lifestyle. Our goal is to provide you with all the knowledge you need to make informed decisions about your pet’s preventative treatment plan. These vaccines help to protect your dog from the most common diseases we see in the general population, many of which are potentially fatal. It’s especially important to properly vaccinate puppies and young dogs, as they’re particularly susceptible to the life-threatening symptoms that these vaccinations protect against. All of our feline vaccines are non-adjuvanted in order to mitigate the risk of injection-site sarcomas. 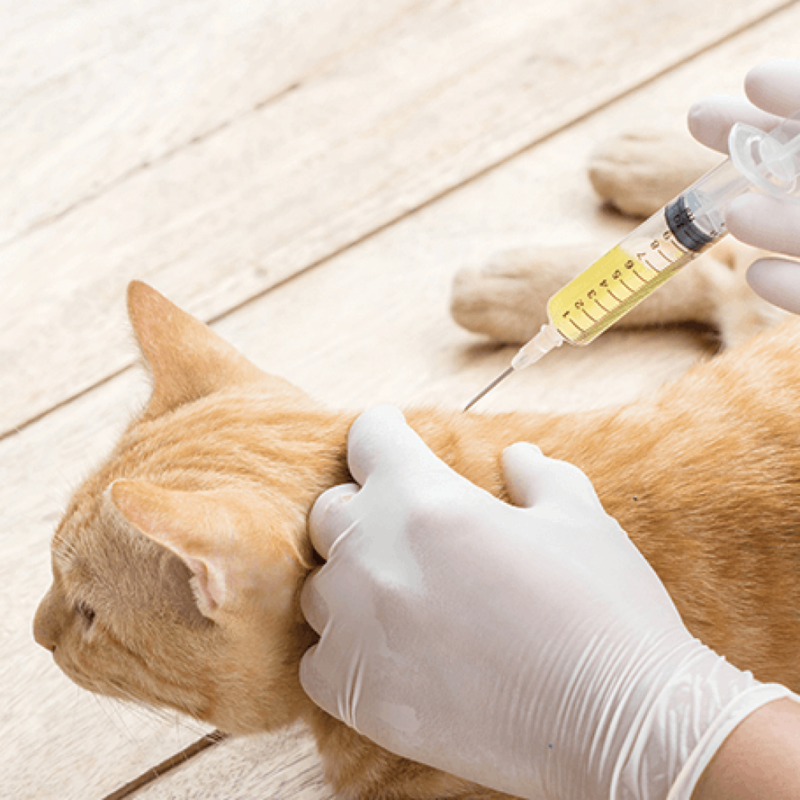 As with dogs, younger cats and kittens must be properly vaccinated to protect them from these diseases. When possible (and medically indicated), we utilize extended vaccination intervals (i.e., every three years) for adult pets. This includes the rabies and DA2PP for dogs and FVRCP for cats. This means fewer shots for your pet while maintaining the ideal level of protection from dangerous illnesses.